Best 2018 Gift Ideas for the Holidays That are Just for Fun! What are the holidays without a few, just-for-fun presents for everyone on your list? Here are our best gift ideas for the holidays for your teens, college kids, and young adults, too. We receive small amounts of compensation from purchases made through some of the links on this page. Your teen has friends, but if their very best friend is the dog they have grown up with, why not give them a pillow in the likeness of their furry BFF? These custom pet pillows are handmade in Brooklyn and all you need to do is submit a favorite photo of your pet. Our kids always have their phones in their hands so, playing a card game that involves their phones, explains the popularity of this super-fun game. Snowman Hot Chocolate We have never seen such an inventive and delicious way to share hot chocolate than with this snowman, filled with hot chocolate mix and mini marshmallows. Dissolve in hot milk and share with a group of friends. This adorable and tasty gift made it onto Oprah’s List of 2018 Favorites. Taking and printing out photos – instantly – with a Fujifilm Instax Mini 9, makes old school photography cool again. Cameras come in light blue, cobalt, flamingo pink, smokey white, and lime green. Comes with a selfie mirror and macro lens to allow for one-of-a-kind keepsake photos. For adult kids only, this card game is a rowdy bit of fun for small or large groups. These 1000-piece puzzles are available for lots of colleges as well as teams in the NFL, MLB, and NHL. Clear a table top and let your family work on it throughout the holidays, right through college bowl season. College kids across the country have discovered this lively game. Described as a cross between four-square and volleyball, this is great for cross training or a super-energized work out. This wireless speaker comes in loads of different colors and gets great reviews. 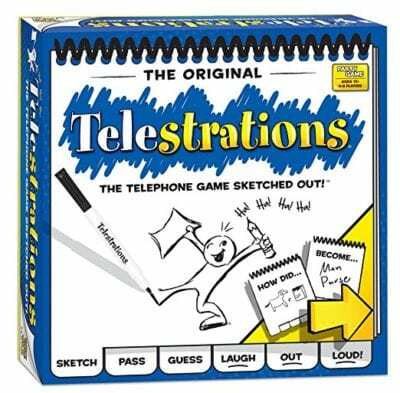 Board and card games have become super-popular in the teen and young adult crowd and this one, based on telephone game we all played as kids, looks fun. Great for ages 12+. Anyone attending sporting events should be aware of the security procedures and that includes what sort of bag you are allowed to take into an arena. This meets NCAA, NFL and PGA Tournament guidelines for 12x12x6 clear bags. Has Sriracha become your kid’s go-to condiment? They will appreciate this mini-size, portable, and refillable bottle so they will never have to suffer through a meal without adding their favorite spicy sauce. Our kids love to play Ping Pong (with and without beer!) but in dorm rooms and small apartments there just isn’t room for a full sized table. Enter this great idea from Umbra. 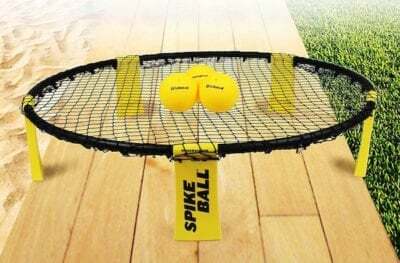 Two paddles, two balls and a weighted net that can set up on any size table up to 72 inches wide means that any table becomes a ping pong table.